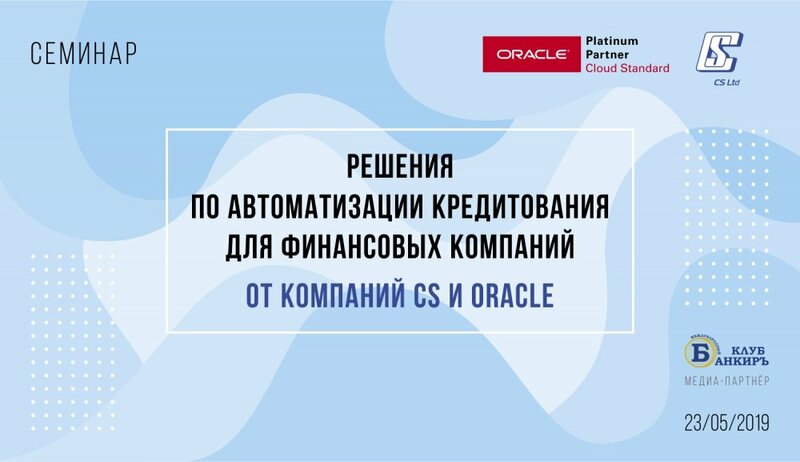 On May 23 CS and Oracle will present their automated lending solutions for the financial companies. The leading experts of the CS and Oracle companies will introduce the up-to-date developments and new solutions. The ways to personalise these solutions for the needs of your company will also be discussed.